After weeks of anticipation, the verdict deciding the judicial fate of former justice George Meerabux is in…And his dismissal stands. 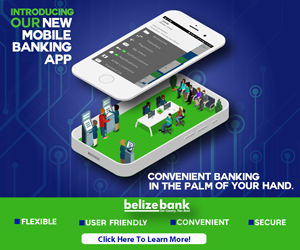 In front of a packed courtroom, Justice Christopher Blackman denied four of Meerabux’s five points of complaint against the Belize Advisory Council and ruled that while a fifth was technically valid it could not form the basis of a successful motion. The legal team for Meerabux, attorneys Kirk Anderson, Wilfred Elrington and Hubert Elrington, had argued that the chairman of the Belize Advisory Council, Ellis Arnold should have recused himself from the proceedings because he was a member of the Bar Association, the same body that initiated and prosecuted the case against him. Justice Blackman ruled that because membership of the Bar is mandatory and there was no actual bias, the application could not succeed. Kirk Anderson told News 5 that while they accept the ruling, the Belize Advisory Council could have done things differently. the second point advanced by Meerabux was that the five members of the Advisory Council tribunal were not his peers, as defined by the constitution. While Justice Blackman agreed that the Advisory Council is unique when compared with the models in the rest of the Commonwealth, he was forced to recognise that it is the legally constituted entity to hear such cases. Given the strongly worded comments from Justice Blackman about the peculiar structure of the Belize Advisory Council, News 5 asked Solicitor General Elson Kaseke what, if any, repercussions would follow.